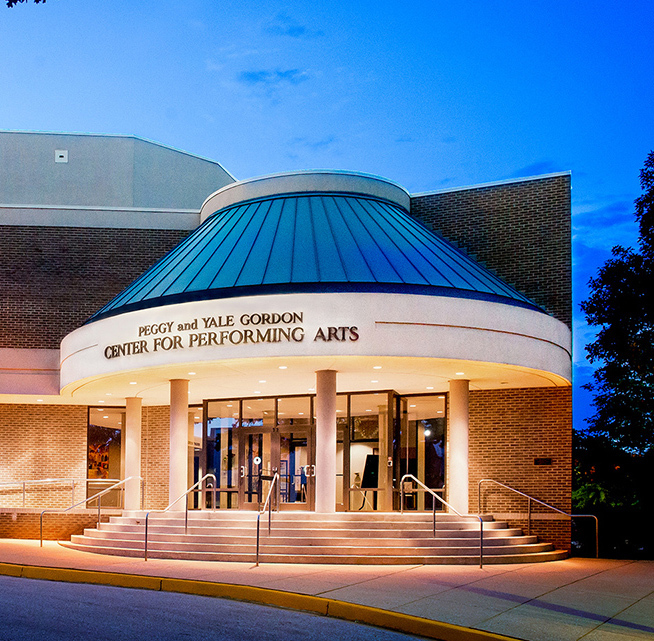 The Gordon Center is located on the campus of the Rosenbloom Owings Mills JCC at 3506 Gwynnbrook Avenue in Owings Mills, Maryland. When you arrive on our campus the Gordon Center will be on the right (east) side of our building. We suggest parking to the right of the theatre where there is usually ample free parking. Handicap parking is located in front rows of our parking lot, facing the theater. From the Baltimore Beltway (I-695), take Exit 19 (I-795) toward Owings Mills. Leave the expressway at Exit 4 and bear right onto Owings Mills Blvd. Travel 2.2 miles and turn right onto Gwynnbrook Avenue. The entrance to the Gordon Center and the Rosenbloom Jewish Community Center campus will be ½ mile on your left. During non-show times, our box office is located at our Finance Desk inside the Rosenbloom Owings Mills JCC. Pre-Show Hours: The Gordon theater ticket windows are open for “at the door” ticket sales one hour prior to each show’s start time. Purchase your tickets online or at our Box Office during business hours. There is a $1/ticket processing fee for all ticket sales (box office, at the door, or online).